This is one of the great things about living in Loveland. 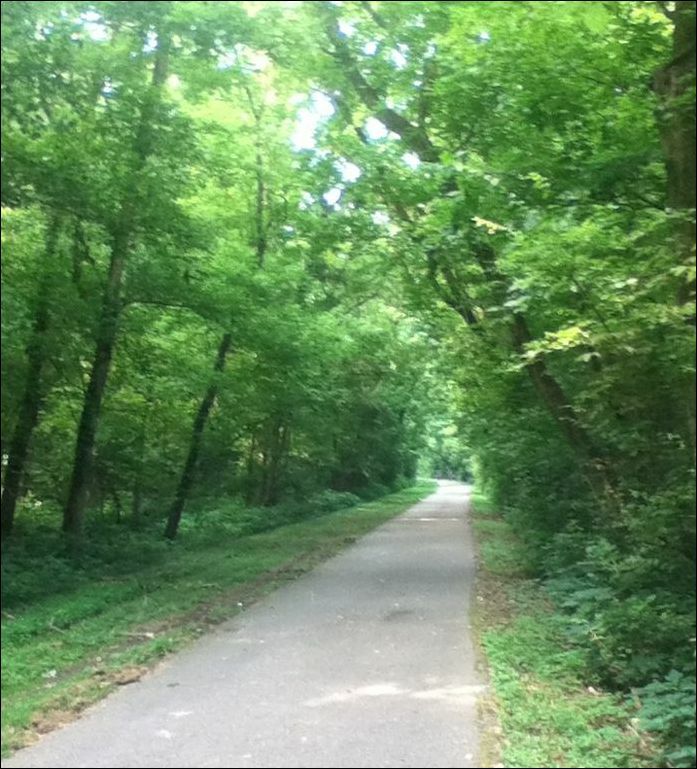 I usual the Little Miami River Scenic Trail several times a week to go for runs or bike rides. It is mostly in the tress, so it provides a sheltered running/biking area when it is hot plus you don’t have to worry about cars. It is quite scenic and frequently I will see deer on the trail. 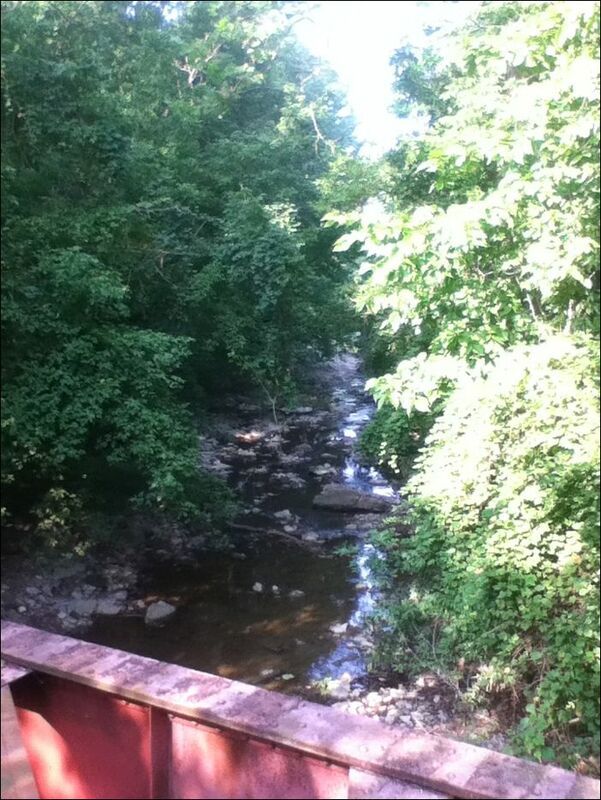 This isn’t the best picture as I took it from my bike with an iPod, still it conveys the general look and feel of the trail. 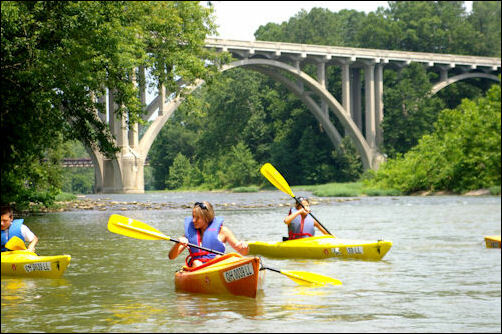 Here are a couple of other sites along the river/trail. One of the many creeks the trail crosses over. The trail passes under this bridge.